Yesterday, my exercise besides working around the house and the farm visits was a family bike ride. We were able to leave around 8 AM which made for little traffic on the roads. We needed to return some books at the library and buy a plunger. 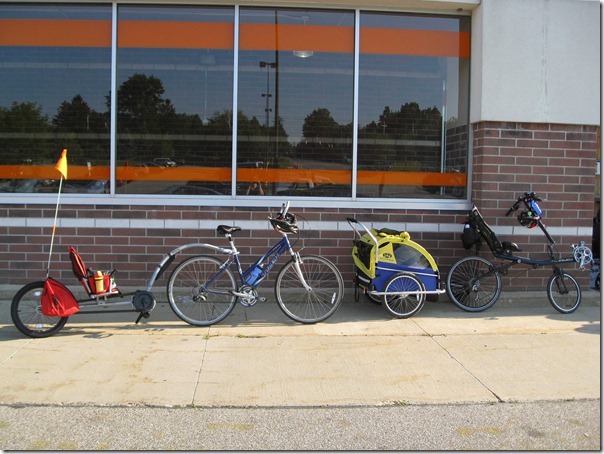 Between the book drop and Home Depot, we ended up riding 4 miles. I went up an extra street to make sure we did 4 miles. 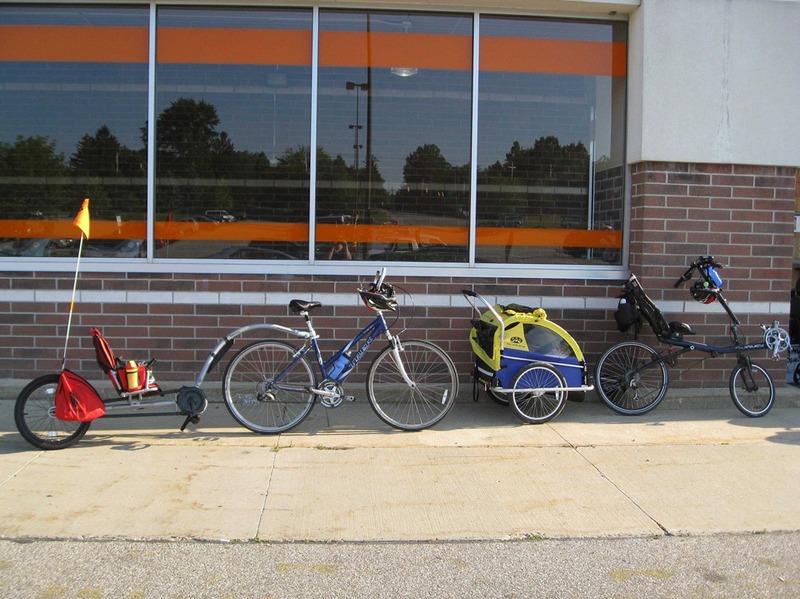 Pictured from left to right: Nick’s Weehoo I-Go trailer, my Trek hybrid, Sally’s Burley trailer, and Stephen’s Burley recumbent. I’m sure we are quite the sight riding down the street. Today, I made it to the J for a workout. I did a solid 30 minutes on the elliptical and burned about 400 calories. After my cardio, I did some abdominal floor work. It felt good to sweat. What did you do for activity this weekend?